Through training courses specifically developed for coatings and linings application, NACE provides comprehensive training for individuals with varying levels of industry experience, from applicators and contractors to project managers and asset owners. Coursework ranges from fundamentals to industry-specific topics disseminated through classroom study, discussion, and hands-on fieldwork. Corrosion Under Insulation (CUI) is one of the most well-known phenomena and major problems in the process industries. This course covers the fundamental issues that are specific to coatings in the marine industry. Choose between imperial and metric versions to brush up on critical math skills needed to succeed in the coatings industry. This course is designed specifically to train coating inspectors to conduct inspections in nuclear power plants (NPPs), and is also used as a primer to familiarize non CIP-certified personnel with NPP coating requirements. This course addresses the elements of in-service inspection and maintenance planning for fixed offshore structures. The Pipeline Coating Applicator course covers the proper coating application procedures including understanding specifications, surface preparation, application techniques, dealing with changing ambient conditions, and quality control measures, for the most common coating materials to which contractors and inspectors are exposed to on pipeline projects. 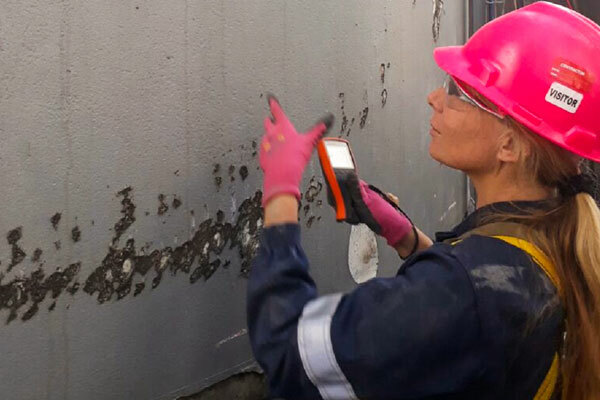 The PCS 1 Basic Principles introduces both the theoretical and practical aspects of using coatings to control corrosion and the economic benefits of managing them. Common corrosion control coatings are def ined and when, how, and where they should be used. The PCS 2 Advanced course provides advanced level technology topics related to protective coatings.